Wisconsin Lutheran College received a A-. U.S. News & World Report's ranking of 178 out of 178 of National Liberal Arts was a major contributor to this grade. "Suburban Milwaukee is home to this small liberal arts college devoted to nurturing Christian values. The small population (only about 800) allows most students to be "onstage and on the court, rather than in the audience," as well as providing a 12/1 faculty student ratio." Describe the type of student who should not attend Wisconsin Lutheran College and explain why. Describe the type of student who should attend Wisconsin Lutheran College. Why? What is a typical Wisconsin Lutheran College student like? Describe the type of person that should attend Wisconsin Lutheran College. What are the top 3 reasons someone should attend Wisconsin Lutheran College? What was a typical Wisconsin Lutheran College student like in high school? Describe the type of person that should attend Wisconsin Lutheran College. Christian leadership is what Wisconsin Lutheran College is all about. Leadership isn't taught at Wisconsin Lutheran. It simply comes with the territory. Professors at the college lead by example. They get to know the students on a personal level and encourage them to accomplish more in and out of the classroom than they ever imagined. Wisconsin Lutheran is often described as a warm and friendly campus, but that doesn't mean it's easy. Students who choose to attend the college desire a strong and challenging liberal arts program. They expect to be prepared for their future because that is what the college promises when they enroll. That's Wisconsin Lutheran College's mission, after all; producing well prepared Christian leaders who understand the importance of serving others as they lead. What are the top 3 things that students do for fun at Wisconsin Lutheran College? Students at Wisconsin Lutheran College play lots of pool in the Warrior Underground. They play video games in their rooms, especially the boys. Lots of people watch movies in their rooms or the dorm lobbies. 79% of students live on-campus. Any instructional program in Germanic languages, literatures, and linguistics not listed above. The average student pays $18,739 for tuition, fees, and other expenses, after grants and scholarships. Total stated tuition is $24,620, in-state and on-campus, before financial aid. Learn more about financial aid at http://www.wlc.edu/fa/. Estimate the net price for you at http://www.wlc.edu/netpricecalculator/. Wisconsin Lutheran College participates in the NCAA Division III for college athletics. 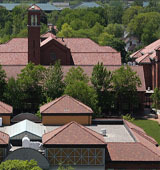 Want more info about Wisconsin Lutheran College? Get free advice from education experts and Noodle community members.